Initially we wanted to look for an upholstery company to salvage the pathetic sofa but never got around to do it. In the end I think we sort of just "live with it" and so it got stained with food sauce, perspire, juices, water etc. YUCKS! One night I was surfing the net trying to find some information or reviews on good & reliable furniture shops, it was not long before I chance upon a website which I just have to share with everyone; FurnitureSingapore.net. FurnitureSingapore.net is one of the top local resource site for furniture shoppers and they have a great furniture store listings, with useful information on where to buy different types of furniture in Singapore. I like that I am able to see their various categories at a glance on their home page and with a couple of clicks I can see the shop listing with a neutral write up of the shop. 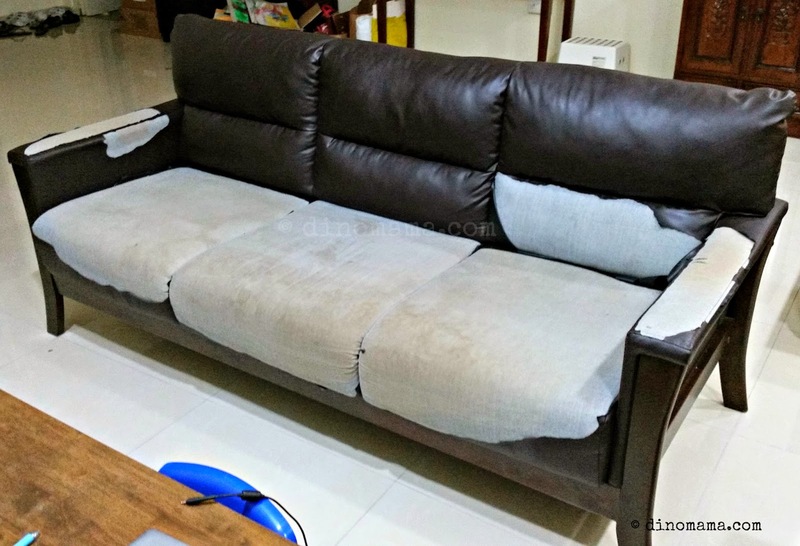 I immediately clicked on their listing for cheap furniture; don't be mistaken by the word "cheap" because sometimes the good & durable stuffs does not cost an arm and a leg, and besides the regular shops like Ikea, Novena & Courts I also see a handful of shops that I did not even know they exist! FurnitureSingapore.net provide a clear introduction on the stuffs that the shops are offering, their promotions, special buys etc. I am already excited to try to find out more about a couple of the shops and inquire about their sofa sets. Look at these beautiful furniture! 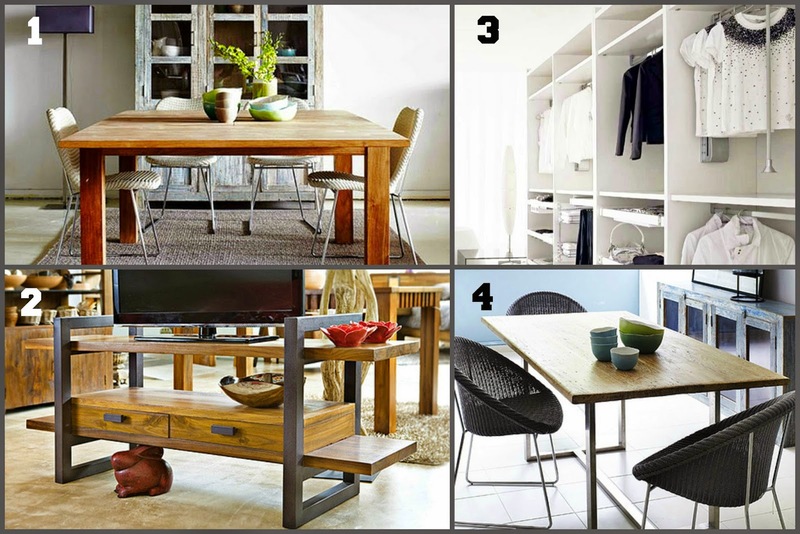 These are a few of the great things you will find in FurnitureSingapore.net. With so many reliable choices to choose from, I am finding it hard to concentrate ONLY on getting a sofa set for us, my hands are itching to redo DinoBoy's room! 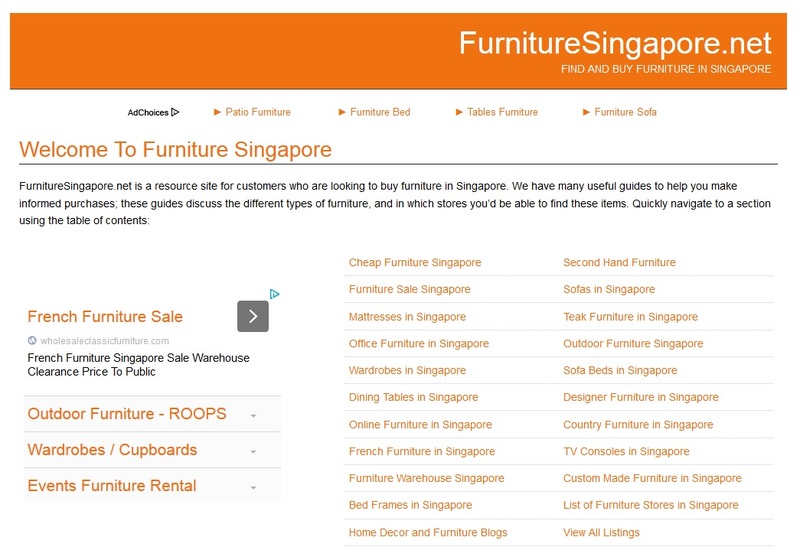 Now I know I can head over to FurnitureSingapore.net to find any furniture I need at the comfort of my house. Disclaimer : We are in no way affiliated to the management of FurnitureSingapore.net. All opinions are 100% based on my online surfing experience at their website.